WATCH FOR OUR 2019 SCHEDULE IN APRIL/MAY! 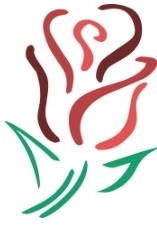 Click Here to view/download the full 2019 Rose Festival Brochure! is the festival in May or June this year? why did i hear it’s May 11-15? Rose Festival is always the 3rd full weekend in June, this year it’s June 14-17…not sure where May would have come from. Our full schedule of events should be available in the next week or two. Thank you for your interest in this year’s festival!